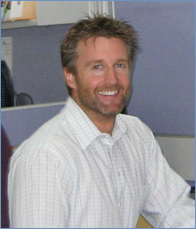 DSRdata.com.au was founded by Jeremy Sheppard, a keen property investor and a property data nutcase. Starting with $30k in savings Jeremy bought his first investment property in 2002. By 2009 he had acquired a portfolio of 16. Some of his purchases doubled in value in less than 3 years without any renovation, subdivision or development. "Capital growth is the ant's pants of property investing. Renos can help, but there's nothing like building wealth sitting on your hands", says Jeremy. "I agree you need good cash flow to stay in the game and keep buying. But rent follows prices anyway so pursuing growth is crucial for cash flow too". Jeremy came up with the Demand to Supply Ratio (DSR) in 2009. The idea was to make property investment research faster, consistent and more effective. "I didn't want to miss out on the best investment location in Australia. But obviously it's not possible to manually research 15,000+ suburbs. So I knew technology and automation had to play a big part." says Jeremy. The DSR is a number out of 100 that gauges the demand relative to supply for a residential property market. The higher the number the more demand outweighs supply and therefore the more likely capital growth will occur. "There's no argument that supply and demand affect prices, we all know that. But I noticed everyone had their own opinion on how changes like infrastructure affect demand or new developments affect supply." says Jeremy. "Then I realised, it doesn't really matter what demand might be so much as what demand is releative to supply right now". Jeremy has been writing articles for Your Investment Property magazine since 2011 educating investors on how to use data to better their returns. He also regularly contributes to the YIP magazine "Expert Advice" section. Some of Jeremy's articles are available on the DSR Education page. And some of the expert advice appearing in YIP mag also appears on the DSR Blog page. Jeremy has spent half of his life to date as a flash computer programming git for hire. He completed a degree in nerdship at the University of Technology Sydney. His other interests (like you care) include: working out, salsa, cricket, rugby & athletics. Believing you should never sell - "Definitely for regional markets, keep your eye on 'em"
Having too many non-bank lenders exposed to global markets I knew nothing about - "GFC ouch"
Getting creative with finance to maximise leveraging - "when the banks say no, take the hint"
"I pride myself on not making the same mistake more than... 3 or 4 times, 5 tops. Just kidding. Seriously though, failures can either kill you or give you a midas touch. It depends on how you bounce back. But no experience gives you no chance of learning." The DSR data logo consists of the Greek characters "delta" on top of a "sigma". Greek characters are used frequently in mathematics. The statistics DSR data publishes involve some heavy maths. The blue globe represents a world in which prices are governed by the law of supply and demand. The equator on the globe represents a fraction line dividing demand by supply to come up with the ratio.